Critically acclaimed Marathi film "Tingya", a sensitive portrayal of a six-year-old boy's love for his bull in backdrop of Maharashtra's agrarian crisis, will be sent as an independent entry to this year's Oscars in the foreign language category. "Tingya", which has won 37 awards including five at the international festivals, lost out to Aamir Khan's "Taare Zameen Par" when a Film Federation of India (FFI) jury chose the latter as India's official entry to the Academy. Producer of "Tingya" Ravi Rai said he will apply independently. Rai als o made it clear that he bore no ill will towards the FFI jury or Aamir's film. 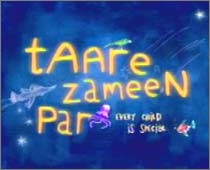 "'Taare Zameen Par' is my personal favourite because a top star like Aamir decided to produce and direct a film about a relevant issue concerning children," Rai said. Pointed out that "Tingya" was equally good, he claimed the jury members had a difficult choice in selecting the official entry. The decision and went against "Tingya" on grounds that it lacked technical finesse, he said. "I feel a film's soul is more important," he added. The noted television producer who turned to big screen with "Tingya" directed by newcomer Mangesh Hadawale said all the nine films in fray this year were deserving. "It shows that good times are here for Indian cinema," he added. upcoming "Fraude: Mexico 2006 "
Follows the complex and controversial events surrounding the 2006 Mexican presidential race between former populist Mexico City mayor Andres Manuel López Obrador and conservative, pro-business Felipe Calderón Hinojosa, and the bitter aftermath. Upcoming film on "Saving Marriage "
When the Massachusetts Supreme Judicial court makes gay marriage legal, the public outcry pushes legislators to approve a constitutional amendment that would override the decision and take gay marriage away.